NEW YORK–(BUSINESS WIRE)–In an effort to promote further adoption of EMV in the U.S., American Express (NYSE: AXP) today announced changes to its EMV chargeback policy to help merchants limit their fraud costs as they upgrade their point-of-sale systems. By the end of August 2016, merchants will not be held liable for chargebacks for counterfeit fraud when a transaction is under $25. In addition, by the end of 2016 American Express also plans to limit the number of counterfeit fraud chargebacks to a total of 10 per card account. 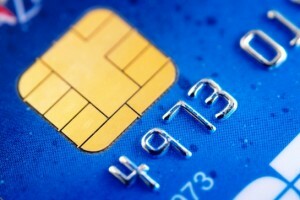 The card issuer – not the merchant – will bear the financial liability for any additional counterfeit fraud transaction that is disputed on a card account after 10 chargebacks. This limit does not prevent a Card Member from disputing additional fraudulent transactions. The changes announced today by American Express will remain in effect until April 2018. The changes are expected to help reduce counterfeit fraud costs for merchants who have not yet upgraded their point-of-sale terminals to accept EMV chip cards. An analysis by American Express found that more than 40% of its counterfeit fraud chargebacks in the U.S. are for transactions under $25. EMV technology reduces the risk of fraud stemming from counterfeit payment cards by storing information on a microprocessor chip embedded in a card. Card Members dip or insert their EMV chip cards into a merchant’s payment terminal instead of swiping their cards. Under a Fraud Liability Shift implemented by American Express in October 2015, the party – merchant or card issuer – with the least secure form of technology is responsible for counterfeit fraud costs. American Express earlier this month announced the availability of Amex Quick Chip, which enables Card Members to dip their chip card during the check-out process and remove it before the transaction is completed. This can reduce the time Card Members must keep their Cards inserted in the terminal, providing an experience similar to swiping a magnetic stripe card and enabling merchants to streamline the checkout experience. American Express also offers merchant acquirers a self-certification program that allows them to perform the tests necessary to certify merchants’ point-of-sale devices for EMV chip card acceptance. The program enables merchant acquirers to complete the required POS certifications within as little as a few hours. Today, the vast majority of U.S. POS certifications on the American Express Global Network are performed using the self-certification program. For more information about the self-certification program, merchant acquirers can visit: https://network.americanexpress.com/en/globalnetwork/certification/. The result of a federal antitrust case could change the way merchants treat acceptance of American Express. In short, merchants complained of substantially higher fees to accept American Express, but were not allowed to steer customers to lower cost card brands. A judgement was entered April 30, 2015 in favor of the plaintiff. An open ended stay of the permanent injunction pending appeal was denied. However, the court allowed for a 30 day temporary stay of the permanent injunction on May 19, which just expired. § III.A.7 of the Permanent Injunction. Thus, while a merchant has the right under the Permanent Injunction to communicate to customers the cost of accepting American Express, or the relative costs of accepting different brands of credit cards (and the merchant may do so on an average, rather than transaction-specific, basis), American Express can prohibit merchants from including costs associated with acceptance of debit cards in this calculation, since blending the costs of accepting credit cards and debit cards would likely overstate the difference between the merchant’s overall cost of accepting American Express and its cost of accepting other brands, such as Visa and MasterCard, that have both credit and debit cards. Under the Durbin amendment, customer receipts must include a subtotal, discount amount, and final total. Merchants need a software or cloud based solution that can make the calculations and output the correct receipt. If offering discounts for steering, removing decision making and calculations from cashiers is critical for both compliance and cash management. CenPOS is a merchant centric, cloud based payment engine with fully compliant steering technology, including the ability to identify which cards qualify for discounts, and automatically calculating the discount. Analyze transaction data by user/department, day of week, and hour of day, to determine if and when steering is cost effective. Offer steering discounts only when and where it’s financially beneficial instead of 24/7 in all locations. American Express Company, American Express Travel Related Services Company, Inc., MasterCard International Inc., and Visa Inc. I just received email saying I qualified for the Chip-enabled point of sale system terminal rebate program. With the April 30 deadline approaching, American Express is being proactive. I don’t actually qualify because I don’t have a retail store. If I tried to collect later, it would be denied because they verify the type of merchant account you have, and mine is ecommerce. 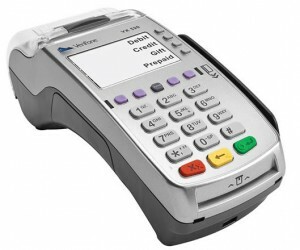 Check out our Chip-enabled point of sale terminal buyers guide.